It’s part two of our fox roundup! Time to get crafty with a range of patterns and tidbits to adorn pretty handmade garments – all with a fox flavour of course! 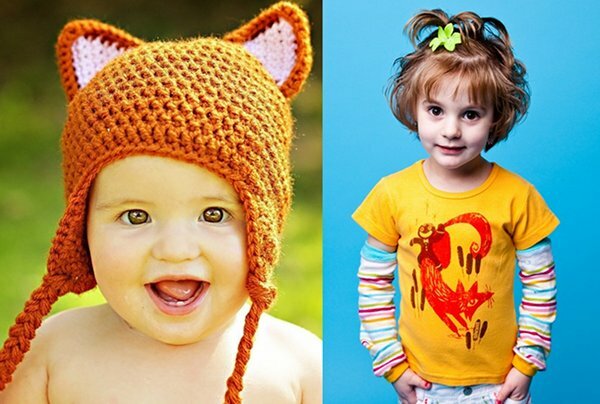 Revoluzzza makes the best dang patterns and I must have The Fox (above top) which contains both boy and girl foxes to make for just AUD$13.50. 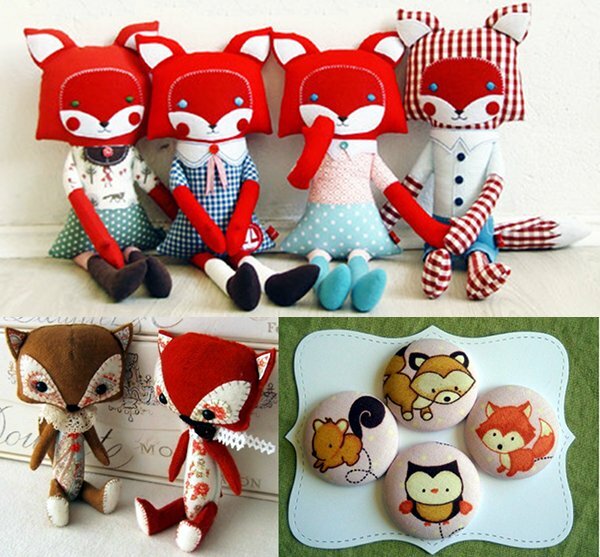 For just US$8 you can have the pattern for the dainty Woodland Fox (above bottom left) from Gingermelon. The buttons would make an adorable addition to a toddler’s dress or knitted jacket; US$9.50 for four from How Beadyful. C’mon; baby needs a little crocheted Fox Earflap Hat hat for winter! The pattern is just US$3.99. The tee on the right is $18 from Crowsmack. Let’s get down to soft furnishings now with the plushest, friendliest foxes from Little Beehive, printed onto cushion covers. They’re available in three sizes too, so you have a fox cushion to fit any space! 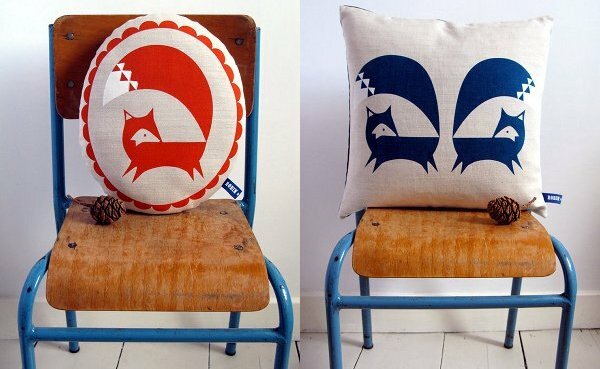 These are the most elegant foxes by Robin and Mould, hand screen printed onto fabric and made into lush little cushions. The red version on the left is US$28 and the navy version is $32. 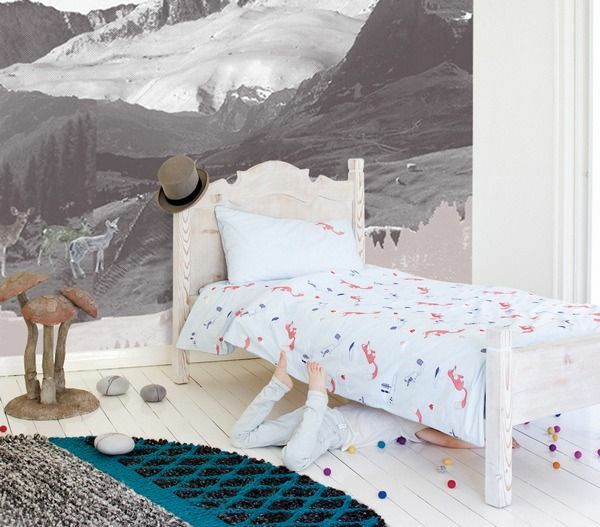 The gorgeous bed linen by The Lowercase ($186) has embroidered fox detail and you can choose from Eggshell Blue and Moonshadow Grey background colours. We’ve got one last installment in our fox roundup so keep an eye out for it!